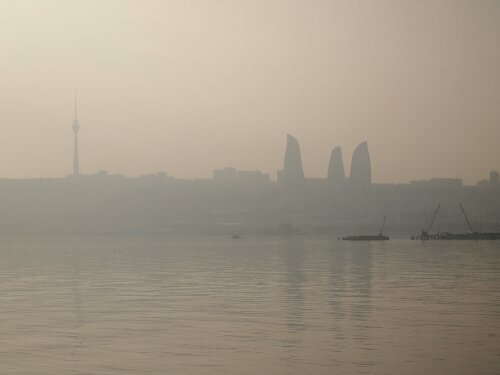 Arriving in Baku I was immediately struck by how different this city appeared to be from the rest of Azerbaijan. On the surface it seemed modern and bustling; there were impressive skyscapers and some really amazing modern architecture giving it a distinctive skyline. There was also a wide variety of restaurants serving many different cuisines as well as a lot of pubs and bars – many of which were British or Irish in theme. All in all it was another world from the semi developed hinterland I’d been cycling through for the past five days. I was lucky enough to be staying with Jo and Kyle, a couple of Rubina’s friends from the UK and their apartment could have been in London: it even had UK plugs and English brand food in the kitchen. This led to me feeling quite disorientated and experiencing some reverse culture shock as I was dropped in at the deep end of civilisation: including proper showers, bath mats, a bed with a duvet, home cinema, playstation, breakfast cereal and a varied diet. It was great though and my body and mind got some much needed rest, which would be required for the visa applications I would have to make. I ended up walking about 24kms in all across Baku to get my Kazakhstan visa as I walked to the embassy to check where it was, apply for my visa, pick up my visa and return again to pick up my visa as they got it wrong the first time. Then there was the walking to and from the Uzbekistan embassy as well. 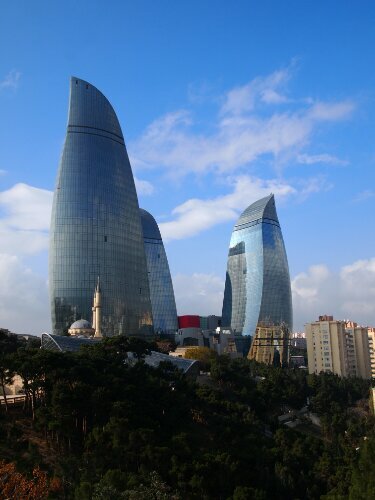 Luckily both my applications went well in the end and I got the visas I wanted for when I wanted them, from arrival to leaving it took me thirteen days to get all my paperwork sorted and I filled the rest of the time with sightseeing in Baku, partying, recovering from partying and watching films. I also got my beard shaved off and chopped a lot of vegetables to go in Rubina’s excellent cooking. 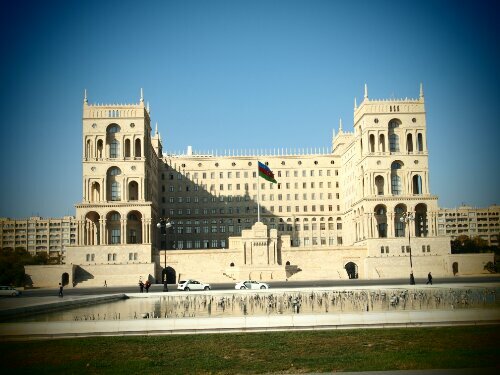 From Baku I was planning on taking a ship across the Caspian Sea into Aktau, Kazakhstan as although the trip was about 454km it would only result in me travelling 100km east, which didn’t feel like cheating too much in the scheme of things! I had heard a lot of troubling stories about the ferry though: for instance it has no schedule and you can end up waiting three weeks for a boat to leave, or that you can end up waiting at sea for days for the weather to clear. Also the boats that were in service did not really sound fit for purpose. 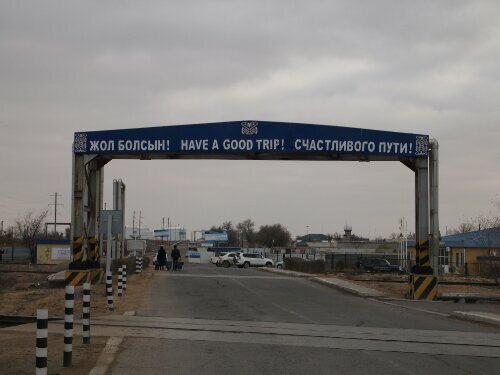 So on the day I got my Uzbekistan visa I headed with trepidation down to the port in order to discover for myself about this fabled crossing. First off though I rode to the wrong port. 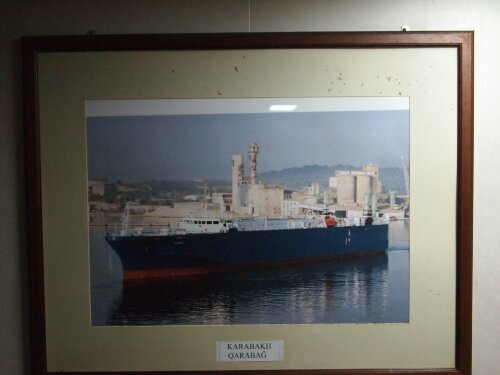 I had read that only the new port 8kms down the coast from Baku was sending out passenger ships. This turned out not to be true. After waiting 45 minutes for the ticket seller to come back I was informed that as a foot passenger (even if I had a bike) I would have to go from the Old port. This was all the way back in the city itself. Off I rode back to where I had come from. Luckily I knew where I was going from the very useful information on the horizons unlimited forum and was able to find the ticket office for the old port without difficulty; previous travellers had stuck stickers on the door to make it clearer. Sadly clarity went out the door when I spoke to the lady there. At the new port the ticket seller had spoken English, here I had no such luck. About all I could work out was that there was a boat in port and that I should come back at 10am tomorrow for information. I couldn’t work out if the boat in question would still be there though. So when I left I decided to ride along further towards the actual place where the boats were and see if anyone had any English so I could clarify. I did not want to miss the boat and end up waiting for days for another one. Next thing I know though I have been collared by a policeman who was either trying to help or extort money from me or as I believe now a combination of the two. He took me back to the cashier and we ended up agreeing I would go back and get my luggage and return and I would be able to board the ship that night. Originally the lady had quoted me $110 for my ticket, now though it was $110 + $10 for ‘baggage’, which I would have to give to the policeman who she gave my ticket too. I’m not a hundred percent sure if this was a bribe or not – I wasn’t too bothered though if it meant I would be on the boat the first time I tipped up at the port! So off I went back to Jo and Kyle’s to gather my things and have something to eat before heading onto the unknown of the boat. Luckily Rubina was in when I arrived so I had a chance to say goodbye. At the time as I was in such a rush that it didn’t really sink in that I would be heading off on my own. I’d been riding with Rubina for over a month – for about a third of my trip so I had gotten used to not being on my own. As I rode away I realised that it was just going to be me again. This made me sad but also gave me the thrill of a challenge as riding in a two had been much easier than riding solo. Arriving at the port I found the policeman who was ‘helping’ me and he gestured to wait as I had arrived a bit early. I sat and read my book until I was eventually called over and sent towards customs and border control. Everyone here was very friendly and one guy even spoke some English and tried to add me on facebook. I also had my bags scanned for the first time on the trip, so Baku would have been as far as I made it with any goods for smuggling. 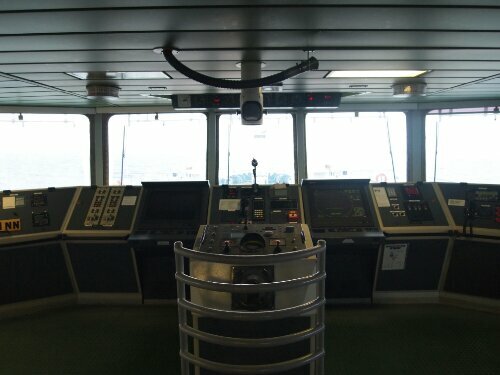 Once through border control I headed onto the ship itself. It wasn’t quite the rusting hulk I had been expecting but at the same time it was definitely not a P&O ferry. As the only other passenger there at the time, another Azeri, was going for the $5 cabin I thought I better as well. This turned out to be wise as I ended up spending three nights on the boat. Upon boarding we were told the boat would leave at 22:00 that evening; it didn’t. 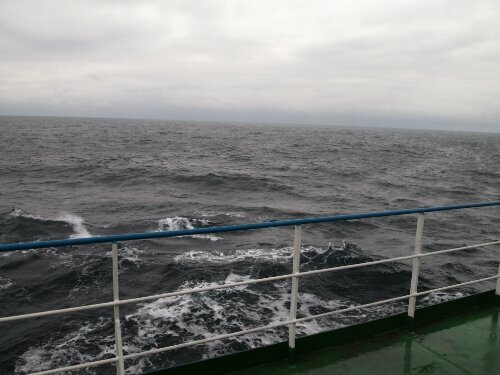 It was only at 15:00 the next day that we set off across the Caspian Sea. 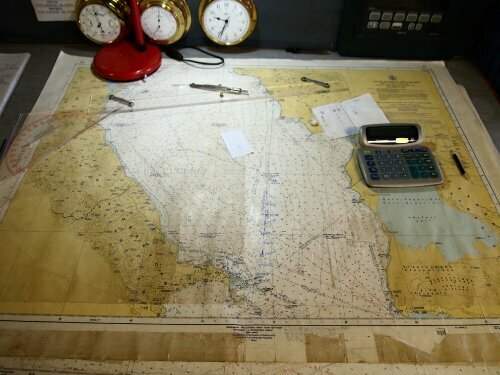 That first day’s sailing was pleasant with clear skies and I think we made good time. When I woke the next day, it was a little different. 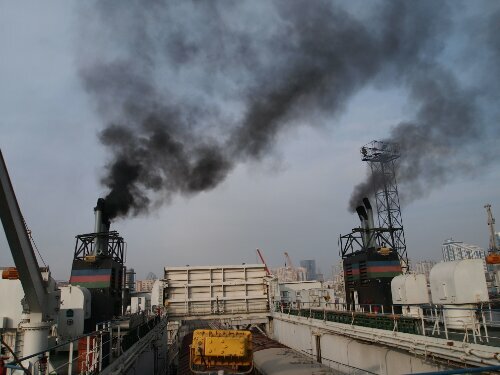 There were clouds covering the sky and a strong breeze blowing across the ship. The water was also choppy. As I was bored I decided to go and see if I was allowed on the bridge. 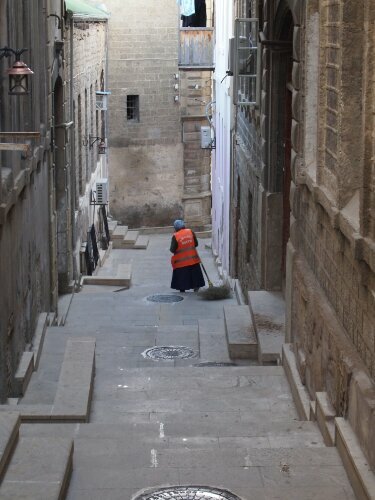 Poking my head round the door I said Salaam and the men on the bridge beckoned me up. One of them spoke basic English and he tried to explain things to me and I looked around the tried to work things out for myself as well. This was not too hard as the boat was on autopilot anyway so I was doing as much of the work of navigating it as anyone there anyway! Interestingly I found the GPS readout for our position and was able to match it up with their charts so I could plot our journey and get an idea how long it would take. I also worked out which readout was showing wind speed and from a chart of the beaufort scale was able to see we were in a fresh gale. This became apparent when a junior seaman came up on the bridge and after standing there for a a few minutes went decidely pale and then grey and then disappeared. I was a bit confused that a sailor would get seasick but the man with English said he was new to it. 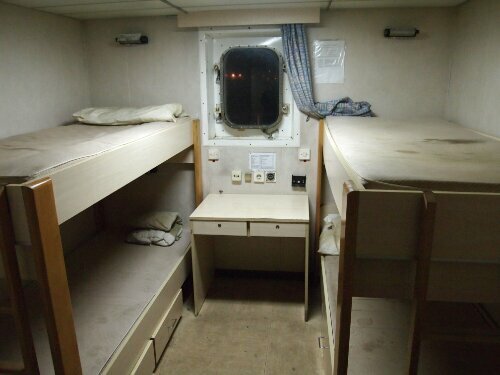 I was lucky and only felt a little queasy a couple of times – the guy I was sharing the cabin with wasn’t so fortunate and he spent most of the day in bed or throwing up. 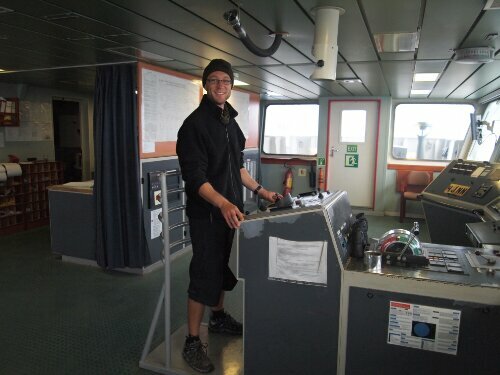 Seeing the bridge was very interesting and the sailors were very helpful and a lot of different ones made time to try and talk with me. This made the journey quite pleasant, I got to watch a few films, read and relax albeit in somewhat unhygienic conditions. 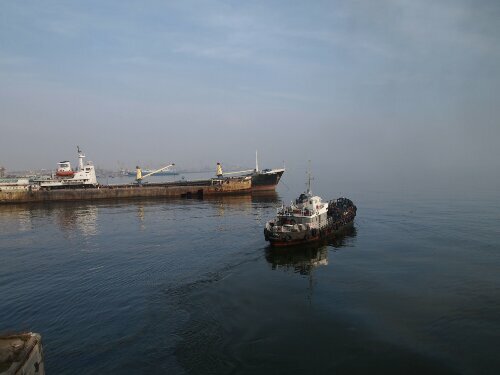 We arrived in Aktau’s waters the evening of the day after we left Baku. Luckily for me, we would not be docking until the following morning as it was still a bit blowy. 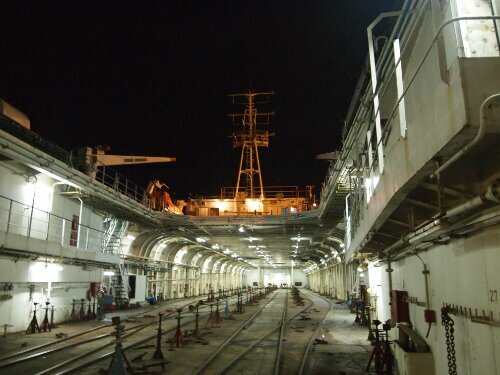 I was glad as I didn’t want to arrive in the port at night and have to find my way to the city and to accommodation. The next day we were allowed to dock and I passed through customs and border control without any issues and I loaded up my bike ready to ride into the city proper. It was at this point that it really hit me that I was properly alone again. There was no one in my wingmirror now, no one to chat to at breaks or hold my handlebars while I fiddled with my bike – I was going to have to figure everything out myself. So first off I figured out where the city was (hard to miss) and rode into Aktau for my first taste of Kazakhstan. Straight off I felt I was in a post soviet country. All the buildings were very blocky and functional. I rode past a karaoke bar and had to take a second glance as I had thought it was a police station to start with. The city centre was similar with very little architectural differences. I also realised finding my way around was going to take some effort as everything was written in cyrillic now, making even spotting a hotel difficult. As I stood outside a cafe with wifi preparing to go in, someone came over and addressed me in English. This, luckily it would turn out, was Tony, a German tourist hitchhiking his way back home from Australia. Meeting Tony was very lucky as he was able to show me where I needed to register I was in Kazakhstan with the migration police and also where the cheapest hotel in the city was (Aktau being notoriously pricey). This meant I was able to tick off my two main tasks with no effort on my part – hurrah! I arrived in Aktau on the 29/11 and annoyingly my Uzbekh visa wouldn’t be starting until the 14/12. This meant I had over two weeks to cover 550km. As it was mostly desert between Aktau and the border I decided to spend a few days there in the last major city until Uzbekhistan. Sadly Aktau doesn’t have much to offer. 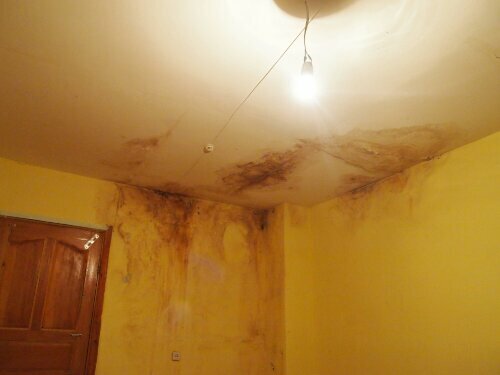 That said the hotel I am staying in is a constant source of amusement with the interesting mould growths on the wall of the room, a strange unidentifiable smell from the lobby and drunk patrons. Fortunately Tony and I were put in the same dorm and even more fortunately it only had two beds so we were able to lock the door as we pleased without worrying about our stuff too much. One evening though we had a knock and Tony was told to move some of his stuff and next thing we know another bed is brought in for a Kazakh guy to sleep in the room. I am still not sure what horror occurred in the bedroom he was in originally to mean he had to move. It must have been terrible for them to risk moving the bed as it barely made it through the move and throughout the night the mattress kept falling through the baseboard to the groans of its occupant. The next morning he was gone as mysteriously as he had arrived. 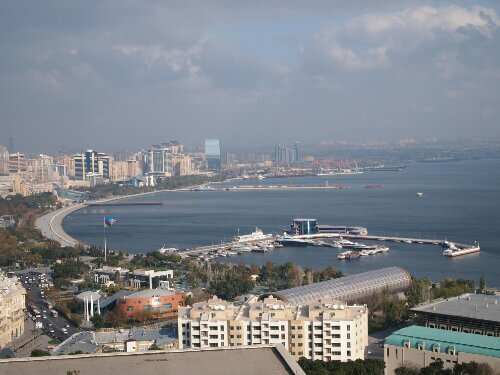 Aktau is split into microdistricts and within the microdistricts there are doma, or homes. As far as I am aware there are not really street names. If you type the number of the doma followed by ‘microdistrict x’ into google maps it’ll show you the location of the building. Migration police: The ones I used are at 123, microdistrict 3, Aktau. They are open Monday to Thursday and Saturday morning. Internet cafe: 170, microdistrict 3, Aktau – 200 tenge an hour. Cheap hotel: 20, microdistrict 3, Aktau – possibly doma 21 not sure of name but is next to Sultan bar and has a green sign. 1500 tenge for a dorm, 2000 tenge for a single with toilet. There is a medium sized supermarket close by at the end of the road. Cafe with fast wifi: around 38, microdistrict 6 across the road from the Shamrock Irish pub. They are happy for you to sit there for hours for the price of a drink. Wifi is swedskiyskol and the password is: 12345678 (yes really). It is also strong enough to pick up outside easily.